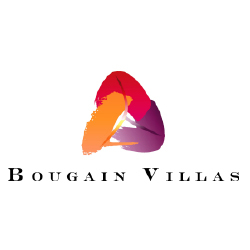 Bougain Villas is an exceptional development comprising a mix of freestanding villas and sectional title apartments. 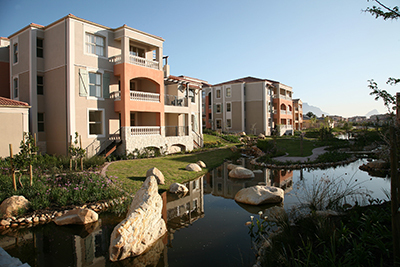 The development comprises a total of 75 free standing villas and 312 sectional title apartments in blocks of different heights and configurations. 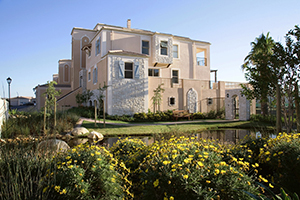 Bougain Villas has been designed to encapsulate the character and charm of a Mediterranean village and to appeal to a wide range of buyers from young families to empty nesters and those looking for easy lock-up-and-go accommodation in an exceptional setting. 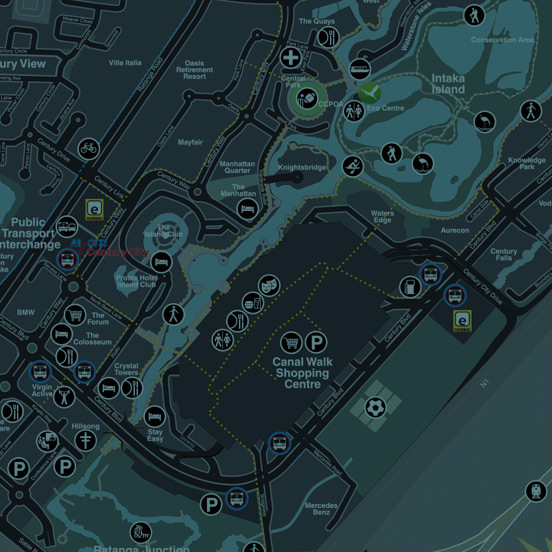 It offers an exceptional lifestyle on the water. 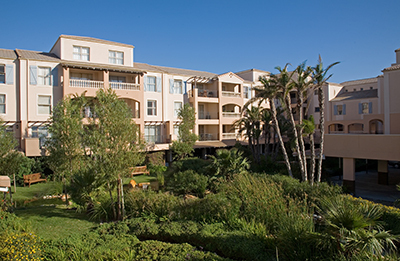 A pebbled stream meanders through the development with the apartment blocks, all of which are north facing, fronting onto larger waterways including an internal water body which links into the 8km navigable canal system at Century City and on to which some of the apartments face.